Do you want a temporary roof installed to aid with the construction of a property? Our temporary roofing service at Blaize Scaffolding can give you the access you need whilst also protecting the inside of a property from bad weather. 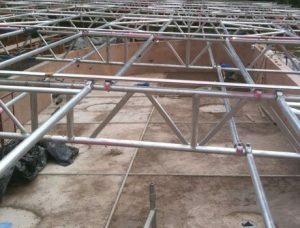 Regardless of the size of the property, our experienced scaffolders have the skills and materials for the job. Get in touch with us now for a free quote. 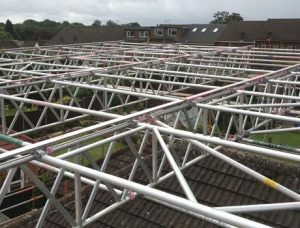 Whether you want roof scaffolding for new builds or you require a temporary roof for a renovation project to protect the interiors of your property, we can build it all at competitive prices. Based in Halesowen, we handle commercial and domestic projects of all sizes for clients in West Midlands and the surrounding areas. Take a look at our gallery page for just a few samples of our projects.